Before today I had only ever heard the name: We Day – but I never actually knew what it was. I knew it had something to do with famous people & Free The Children. But after yesterday, I finally get what everyone was talking about. We Day is not just some event, it’s a life changing experience. An experience that I’m here to share with you exactly how I saw it, through my eyes. The day started early. I was out the door by 7am and at union station just before 8am. While walking past a bunch of screaming students before 8am is slightly overwhelming – once you realize what they’re screaming for, you later wish you’d joined in. Having the opportunity to walk through those ACC doors yesterday was an honour. Craig Kielburger and Marc Kielburger came to the stage and the crowd went crazy. They welcomed the crowd and kicked off the day with some inspirational words. As you looked around, you saw people everywhere. Each person from a different walk of life, but sitting all together in the same room. Something about that simple fact gave me goosebumps – in the best way possible. 20,000 people were sitting in the same room. And as the Kielburger brothers asked for everyone to shout, the room shook. Each of us shouted individually, but our voices together created a team; a movement. Together we proved the power of numbers. 20,000 people sitting in one room, watching the same thing. 40,000 ears taking in the same knowledge. That knowledge will likely be shared – over dinner, in class rooms, on the internet and elsewhere. Knowledge is power. Working together is key. By spreading the message people will become aware, and with that they can make a change. Together, we can accomplish our goals. And that is what We Day is all about. In 2012 We Day started an initiative called We Create Change. In 365 days, 140 million pennies were donated. 140 MILLION pennies. You know what that adds up to? As Craig Kilburger stated, 140 million pennies adds up to the weight of 76 African elephants! Stacked together, one on top of another, 140 million pennies reaches the international space station SIX TIMES. And most importantly, and most special, is that 140 million pennies gave 100,000 people clean water for the rest of their lives. Our team caught up with Michael ‘Pinball’ Clemons backstage. Sticks and Stones: Words have the power to tear us down, but they also have the power to build us back up.” —Molly Burke told a personal story about losing her vision, being bullied and how that affected her mental health. On April 17, 2014 Molly Burke is taking a vow of silence in honour of anyone who has ever had their voice silenced. Check out the video from last years vow: We Are Silent. We Day really knows how to put on a show. In between the wise words, all sorts of artists came out and performed to pump the crowd up. 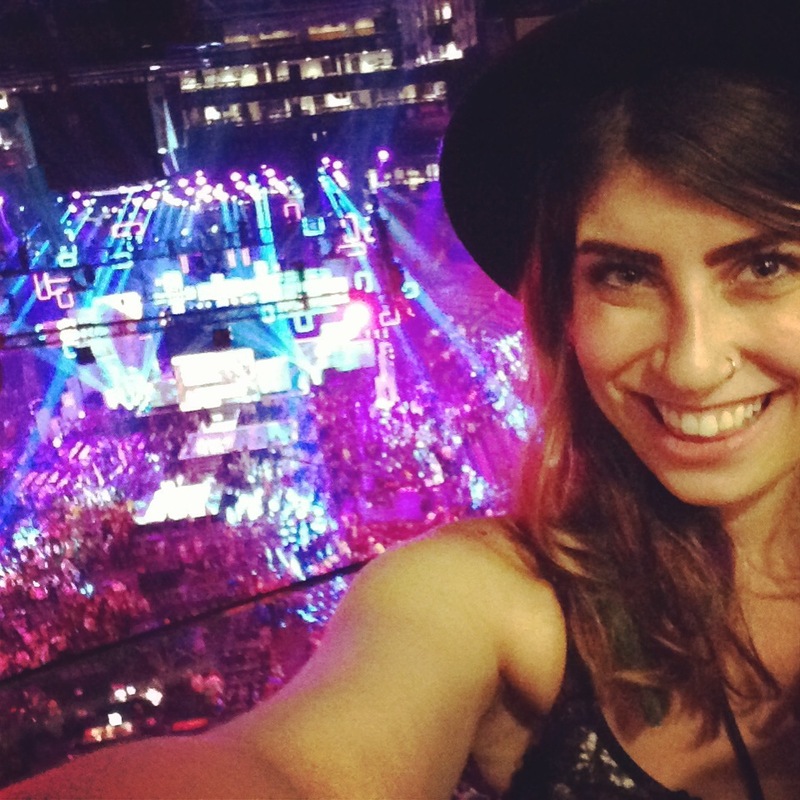 Click here to check out some of the amazing performances we saw at We Day! 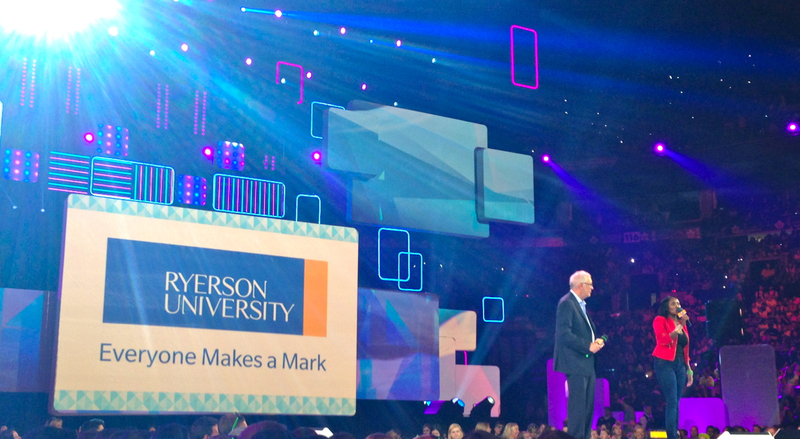 After Serena Ryder performed Ryerson’s President, Sheldon Levy made his way on stage. As the team from Ryerson, we were able to watch Sheldon and Teriano Lesancha (Ryerson graduate), speak from side stage. Being at the bottom of the stage, you could look up and see all the thousands of people in the ACC. Being at the bottom of the stage you were able to see the We Day dream coming true. This is when I stopped – stopped taking pictures on my phone, stopped looking at social media – I stopped, looked up and took it all in. As the event came to an end, Craig and Marc Kielburger came back on stage. They spoke about education. Their main message was that education is freedom. Have you every thought about that? We hate having 8am classes and we complain about studying. But having the ability to even be in school, that’s freedom. 57 million children are not in school. No one will ask them what they want to do when they get older, cause they won’t have a choice. We can change that. You may be called a dreamer for trying, and so what? Those who dream, are those who make a difference. I would like to thank Ryerson University for sending me to We Day. It was the most inspirational event I’ve ever attended and it truly opened my eyes. All of the speakers, young and old, made an impact on my life and I seriously will never forget that. If you’d like to take action & get involved with We Day click here – what they’re doing is truly amazing. Before I go, I want to leave you with one last thing. Chris Hadfield spoke at We Day & said something that not too many people say. 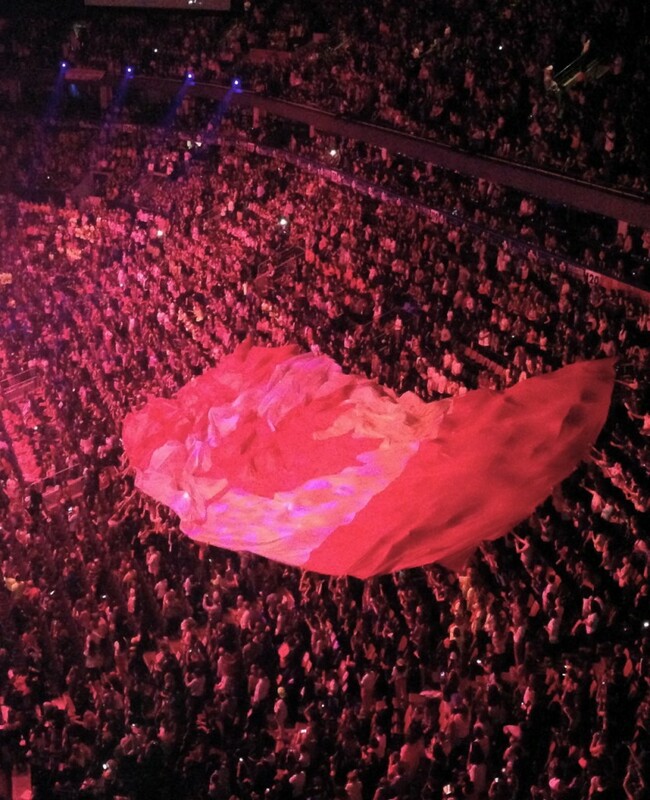 As the Canadian flag floated, Hadfield looked straight at the crowd and said “The sky is not the limit.” And he’s right. If you have a dream, if you have a goal, take the steps to put it into action and achieve it. Whether it’s graduating, landing your dream job, learning how to sing or spending more time with your family – write it down, work hard and stay positive because no matter how hard or far it may seem, you can achieve it.